Being a fashion addict is a tough task, you know. There is a lot that keeps changing and only millionaires can keep up with everything. Therefore, if you have a friend, better half, sibling or a colleague who is a fashion addict, it is quite easy to gift them something. Not really, but you can always find some awesome pieces of fashion on the market. In order to do this, you will have to follow some criteria as well. Just so you know, we mean a lot more than apparel when we use the term fashion. 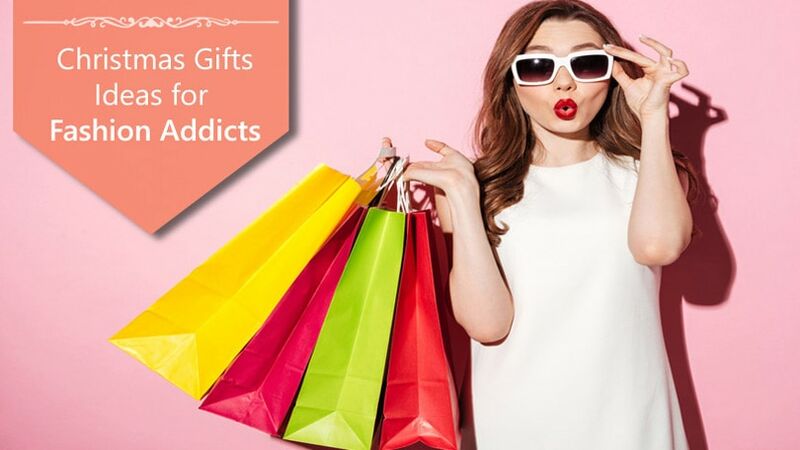 In this article below, you will find some of the best Christmas gift ideas for fashion addicts. We have chosen products that your shop-a-holic friend would have wanted to buy one day. These fashion products are not just looking cool but also are quality-rich products in their own way. And, yes, you will find fashion gifts based on almost every budget bracket. Shall we start, then? If you want to gift some apparel that helps your fashion-friend stay warm in the winter, we will recommend Orolay Women’s Thickened Down Jacket. It’s a wonderful, high-quality jacket that is made of 100% polyester and 100% down filling, making it not just look good but also work well. Perfect stitches in this clothing make it look so elegant, no matter who is wearing it. It’s available in five different colors and you can pick which-ever that is your favorite. Even from the utilitarian point of view, this is one of the best fashion-based gifts you can give someone. 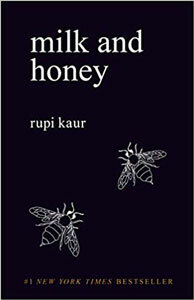 One of the awesome books written by Rupi Kaur, Milk and Honey is one of the awesome gifts that you can give a fashion-obsessed girl/guy. Apart from being a New York Bestseller, this collection talks about life, love, femininity, and experience. For someone who is proud of their life, Milk and Honey would be a great way of finding themselves. For those who are not, Rupi Kaur’s words work like magic, helping them lead all the way to success. If you want your friend to go through a wonderful journey of feminine identity among many things, get one of the copies. Gifting a watch to your loved one is a great idea, per se. It’s a kind of gift that reminds them of you each time (no pun intended). Fossil Women’s 36mm Jacqueline Watch is one of the best options out there, being one watch that does not compromise style for functionality. 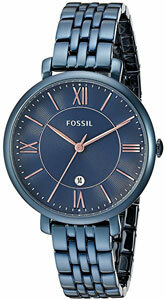 The blue, metallic finish goes really well with rose dials you would see on top, making it look good on almost every wrist. It ain’t a smartwatch, but smartness isn’t what you want in a gift. The best part is that you can order this now and it would be delivered before Christmas is here. There are times when you want to find a cool-looking fashion gift without spending much. Of course, you’ll have to tone down the size in order to do that. Harper Crossbody Handbag is surely one of those gifts, where you spend very little to get one of the iconic handbags out there. You can choose the finest color from the 15 available options and the gradients look so good. 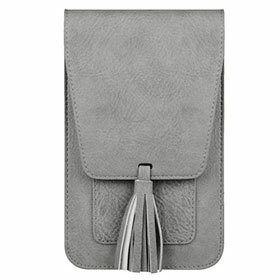 Made of vegan leather and full-quality material, it will look awesome with almost every type. Or, this is a kind of Christmas gift that you can combine with another apparel. Want to gift something that is classy and useful to your friend, boyfriend or the better half? In that case, the Samsung Galaxy Watch is a wonderful choice, indeed. 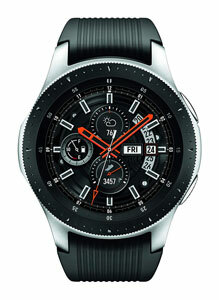 Powered by the best build quality and awesome set of features, this wristwatch looks finer than the traditional pieces. If you happen to have a friend who is an addict of fashion and tech, this is the perfect option. 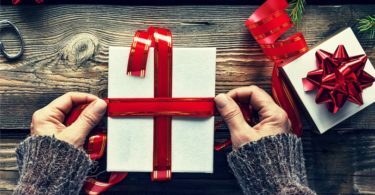 Personally speaking, even when it comes to fashion, I’d recommend gifting products that offer some purpose. And, this smartwatch would surely help them live an extremely smarter life. Want to gift someone a wonderful sneaker? 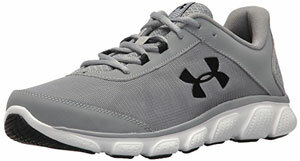 Make sure you consider Under Armour Men’s Micro G Assert 7 Sneaker, which doesn’t cost a fortune either. This pair of sneakers fit very well with fashion, if not for cool purposes. Available in a variety of colors, you can pick this one for the elegant looks and the overall blessed nature. Compared to normal sneakers you find across the market, this one is completely breathable too. In short, it stays as one of the awesome choices for men who are into fashion. 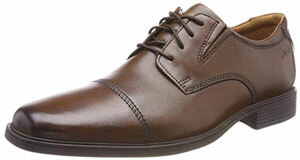 If you are planning to gift an Oxfords shoe to someone, you should consider this one. So to speak, the Clarks Men’s Tilden Cap Oxford Shoe is not an expensive Christmas gift. However, you are gifting something so rich in quality, being made of 100% leather. This breathable leather and synthetic sole make this pair one of the best in the market as well. Does it go well with fashion? Hell yeah, you bet. Of course, the product has one business attire, but you know that, right? 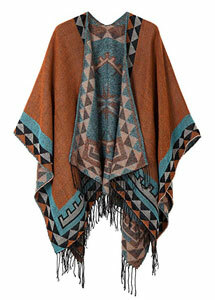 If you want to gift something fashionable, cozy and warm to your friend, we’d recommend going for this Women’s Cape Cardigan Wrap Shawl you can find on Amazon. It’s one of the best options for the ultimate fashionista out there since the various patterns match with various dress options out there. It’s well-tailored in a way that the dress looks much elegant with something else. Even if you don’t use this as a traditional sweater, there is a lot great about this product. If you have a sister or friend who wants to get started into the world of fashion, you should gift the ELIMPAUL Women Fashion Handbags for your needs. 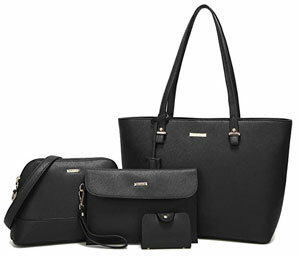 It’s a complete package that comes with a handbag, messenger bag, and the wallet clutch. Made for different purposes, these accessories show the best looks in the world when worn. It’s surely one of the fashion-friendly gifts you can give to someone who is enthusiastic about having a bag that’s not just purposeful but something that looks good. Once again, it arrives before X’Mas. We have one of the highest-rated fashion products on Amazon to end this list. Available in twenty different colors and gradients, Wallaroo Hat Company Women’s Victoria Sun Hat is surely one of the best Christmas gifts for a fashion addict. 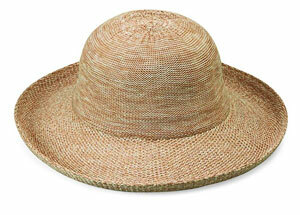 It does not matter who you are gifting it to, the great sun hat adds charm to dress that accompanies. The best part about this hat is that it does not stand as something external, but adds to your natural charm and beauty. We believe that’s something every fashionista would look forward to when getting a gift. 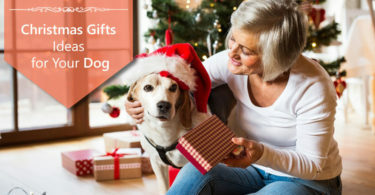 We have listed 10 Christmas gift ideas that offer something unique and memorable. We have made a selection from different categories, including Apparel, Accessories, Footwear and even some books. All these products would help your loved ones keep themselves up-to-date with the fashion — and look good, of course.